I remember thinking as I left my interview for Field Operations Manager in Rothera Station at the British Antarctic Survey (BAS) that I should take a good look around as I wouldn’t be coming back to their offices, but still chuffed I got so far. Next day they called and no, I didn’t get the job – came a close second and did really well, but the internal candidate…etc. Then, they asked me if I would like to be Base Commander South Georgia – the last thing place I was expecting to hear! I didn’t know what to say and they urged me to wait, come back to Cambridge on Tuesday and decide then. It wasn’t hard. South Georgia has been part of my upbringing. My father was in Leith Harbour as a Radio Officer. One of Shackleton’s men (there’s a story about him in an old Back in the Day) came from Lewis, so the whole Shackleton story has fascinated me for many years, as has the whaling industry; and as Islanders we’re closely linked with the Island through seafaring, even nowadays. Many of the crews and visitors here know the Western Isles – most of the crews mention the Star Inn! So, I went back to BAS, learnt about King Edward Point (KEP), the support we give to the Government of South Georgia and the South Sandwich Islands (GSGSSI) and our role as Foreign and Commonwealth Office (FCO) representatives. The programme at KEP is financed in part through fishing licences and in part the FCO. Our doctor is financed by fishing licence and as a result the long line trawlers, cruise ships and passing yachts all benefit from her services. The main cash catch around the Island is Patagonian Toothfish, or Chilean Sea Bass as it is more palatably known. It’s a creamy white fleshed fish with a mainly American and Japanese market. Our fish are Marine Stewardship Council certified; they are from a sustainable fishery and can be traced back to source. The work we do, ageing the catch by the rings in their earbones (not unlike trees), allows the South Georgia Government to set sustainable catch quotas. We also study by catch, the other fish, and sadly also albatross, caught by the longline trawlers to determine the overall effect of the fisheries. The use of streamers on the lines has almost halted the amount of albatross caught around South Georgia – they really are incredible birds. The British Antarctic Survey (BAS) is funded by the UK Government through the Natural Environment Research Council. BAS is responsible for the UK’s research effort in Antarctica. Its science and operation are planned and managed from its offices and laboratories in Cambridge. After readily accepting the job offer, I embarked on a whirlwind round of training. As much of the Antarctic research programme takes place in our winter and there is a large intake of candidates who leave around October /November. BAS runs a conference for these candidates which introduces you to BAS, the culture, what you can expect and who you might be working with/avoiding! It’s an incredibly professional and efficient organisation with a long history of Polar research and travel, and as a candidate I felt I was in very steady hands. It was also an opportunity to meet old hands, people travelling to all the different stations, on field parties, scientists, mast erectors, construction workers, chefs – a vast range of Antarctic adventurers! Where do you start? I also had to pack my personal box, or p-box, which would be leaving Cambridge the following week on the RRS James Clark Ross, one of our esteemed Royal Research Ships. She comes north every summer for North Pole and North Sea research work. Then she’s loaded up on the South coast and sent down to do the re-supply at all the Antarctic stations, research cruises, and at the end of the season she collects all the waste and transports it back to either the Falklands or the UK for processing – one of BAS core objectives is to preserve the pristine environment of the Antarctic. The conference was followed by another six weeks of training. Due to my late recruitment, I’d missed the BC’s course, but I did manage to fit in first aid, forklift training, risk assessments and COSHH, IOSH, dangerous goods at sea, AMOS, personal survival training and a five day boating course in Aberdeen. That was the most enjoyable. We were taught by RGIT in Aberdeen and learned the finer points of jet boats, RIBs and tiller boats, night time ops and search and rescue, coming away with a powerboat level 2 cert. 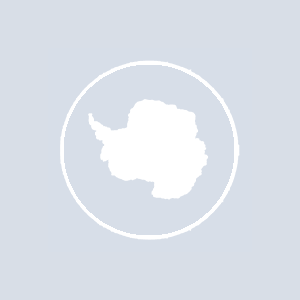 Several things struck me about BAS – the predominance of TLAs (three letter acronyms, there’s no escape), the fact that Antarctic was referred to as ‘South’ by everyone, making it sound even more mysterious, and everyone’s so nice…no, really nice; it’s an incredibly professional organisation. South Georgia is referred to as the party island as in the summer we have upwards of 60 cruise ships visiting, a construction team, museum staff and many yachts – it seems an apt description so far. South Georgia is not technically Antarctic. If you go by the 60 degree south line of latitude, then at 54 degree, we’re not even as far south here as Stornoway is North! But we are across the Antarctic Convergence which makes us part of the Antarctic environmental system. Before departing on my adventures, I had a couple of weeks embarkation leave, which was thankfully accepted after driving up and down the country with various random and entertaining co-drivers! I finally left the UK via the RAF flight from Brize Norton at the start of November with eight other BAS colleagues. This gave me just enough time to organise and pack my 54kg baggage allowance, accordion and all! The flight was pretty unremarkable apart from a fuelling stop in Ascension Island, a tiny outpost in the Atlantic off the coast of Africa where I got my passport stamped and sent a few postcards. We arrived in the Falklands, escorted by an RAF Tornado no less, just before Remembrance Day, and the place was buzzing with patriotism, camaraderie and 250 plus war veterans who had been flown down especially. I enjoyed my time there – it’s a wild place. The weather really does change in five minutes. The scenery is reminiscent of home and Stanley is a stereotypical tiny Island town. I met up with one of our own there, Police Constable Donald Morrison from Ness (who featured in a recent Island Eye). I’d taken out some goodies from home for him and it was a real pleasure to have someone who knew the craic in such a far flung place! The day after I arrived I had to don my suit again, this time to be sworn in as Magistrate of South Georgia. Apparently I have the power to jail people for a year, fine them £100, and issue permits to kill reindeer! I am also the Coroner for the Island, a role I hope never to have to reprise. There is no official training for this role as South Georgia has no laws. That means we come under British law rather than being lawless apparently! There is backup in the Falklands should it be required – and I didn’t even get any robes. We were privileged to be on the Island for a very moving Remembrance Sunday. The 25th anniversary of the Falklands war having come in 2007, it was very special. There was also a Veterans parade on the Saturday evening culminating in a ceremony at the War Memorial, during which time the Tornado was due to do a flypast. We were all waiting for it to appear when two seagulls flew across the front of the parade and somebody shouted: “Typical RAF cutbacks!” and the parade collapsed in laughter illustrating the spirit of those present to perfection! Then, all too quickly, Sunday evening came around and we set sail for South Georgia.